As Judge Robert Clive Jones enters the courtroom, plaintiff Frank Romano takes a deep breath. Finally, after all this time, his opportunity to seek justice has arrived. As Judge Jones bangs his gavel, a trial to determine the responsibility for the largest cheating scandal in Nevada Gaming History begins. Several years earlier, beneath the neon lights of Las Vegas, Romano became a partner in the American Coin Company. In the 1980s, as the company grew to be the third largest slot company in Nevada, Romano was content with his challenging and profitable work, despite regularly being at odds with his partners over the operating principles of the business. But in 1989, Romano's world changed forever when American Coin was seized and closed by the Gaming Control Board for rigging programs. In his gripping story of white collar crime, Frank shares the incredible details of his fall from grace and how he dedicated the rest of his life to recovering his monetary losses and professional reputation. 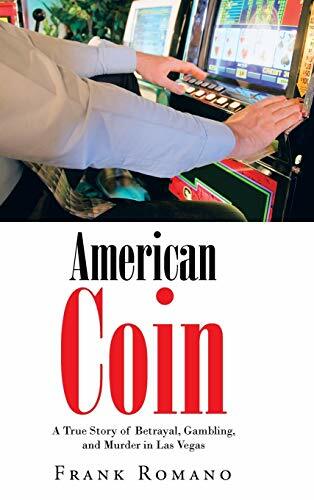 American Coin provides an unforgettable glimpse behind closed doors of Nevada's biggest gaming scandal as one man embarks on a road to redemption lined with betrayal, deception, and murder. Frank August Romano enjoyed a career in advertising and the automotive industry before he expanded his business base and became a partner in the American Coin Company. Frank worked on American Coin until his death in August of 2012. This book is a result of his family's desire to fulfill his last request.